In Hokkaido, Japan during winter. I agree with what Dave said, and I love how the background color complements the fox. Nice proportions, lovely alert pose, sweet light and complementary colours. A beautiful image, Arindam. Hello David. Thank you. Yes, It was a good and memorable trip. 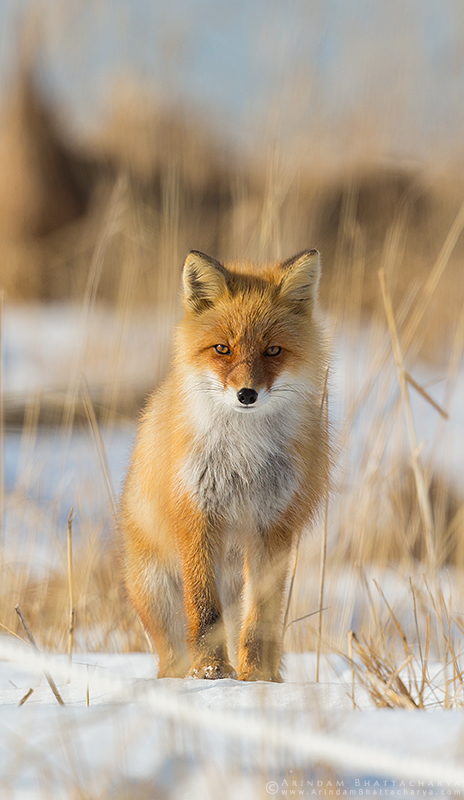 Beautiful light on this fox in a lovely, elegant pose. I love red fox. This stare is perfect.